John Fogerty in Montreal or Quebec City? Inform me about the next events for John Fogerty. Enroll yourself to our priority waiting list for John Fogerty to be alerted when new tickets are available. Filling this form doesn't engage you to any purchase. 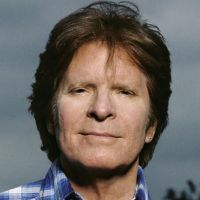 The legendary John Fogerty, ex-leader singer of Creedence Clearwater Revival is coming back to Montreal to perform on July 12th, 2016, at the Bell Center. Fogerty will be performing songs from CCR as well as solo hits. His latest album, entitled Wrote A Song For Everyone, was released in 2013.